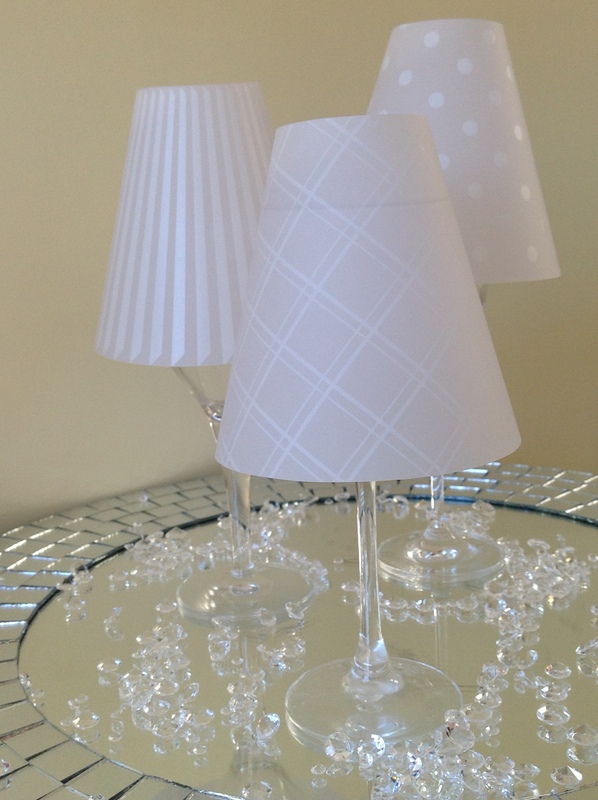 The Tea Light lampshade - a trio of patterned covers for stemmed wine glasses has multiple uses when considering table ideas for weddings, special occasions or dinner parties. 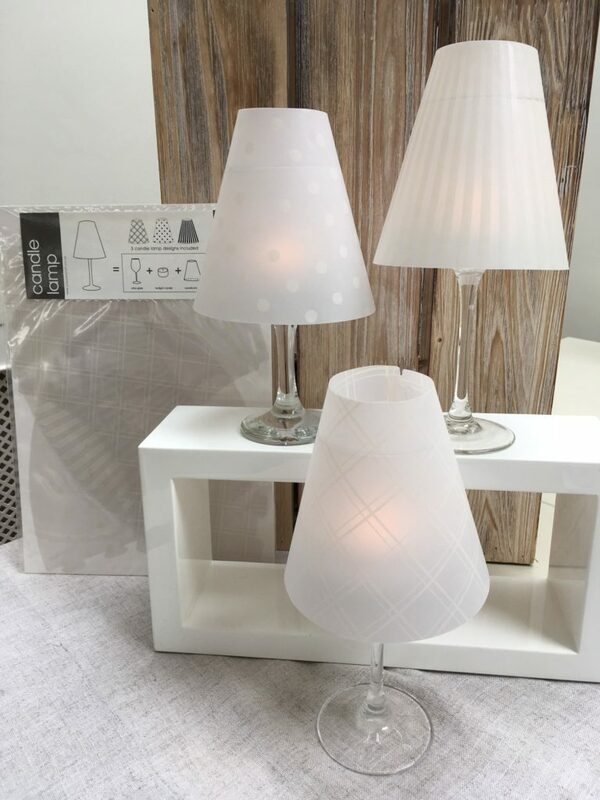 A beautiful unique wedding idea, used as a table centrepiece, these T Light shades will give off a lovely gentle glow at your wedding reception party. Could be used instead of a flower centrepiece. Create a cosy warm glow at a special dinner party, or as a Christmas centerpiece at your Christmas meal. How do I create my table centrepiece with the Tea Light Lampshade set? Simply drop a tea-light in three differing height stemmed glasses and arrange them on a mirror, creating an unusual yet elegant centrepiece. Sold as a set of 3 different printed designs. Glasses and tea lights not included.